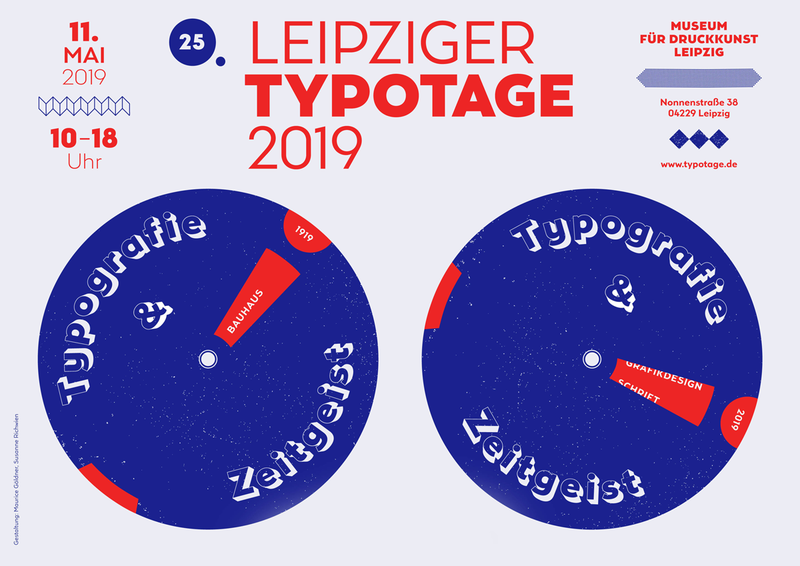 The 25th Typotage Leipzig celebrate their 2019 anniversary: on Saturday, 11 May, the 25th edition of the conference will take place in the Museum of the Printing Arts Leipzig. The theme chosen was “Typography and Zeitgeist.” That couldn’t be more fitting, since 2019 will also put the spotlight on the Bauhaus, whose ideas still have a decisive influence on design today. Following on from this and above all with a view to contemporary events in font design, typography and graphic design, the Typotage 2019 will be devoted to a broad spectrum of topics. A historical part concentrates on the 1920s and the effectiveness of the Bauhaus. Dr. Annette Ludwig (Gutenberg-Museum Mainz) and Andreas Weber (Stan Hema, Berlin, CI Development for bauhaus100) will give lectures on this topic. Afterwards, the lectures will be devoted to the zeitgeist of the present. Among the speakers will be font designer Inga Plönnigs (Berlin), interface designer Frank Rausch (Berlin) and Marc Schütz (Frankfurt/Main), who heads the future-oriented Institute for Font Design in Offenbach/Main. Daniel Klotz from Berliner Lettertypen is a border crosser on the typotage podium who transforms the zeitgeist of the handmade into the digital world using historical printing processes.